If you've gotten comfortable automating some of your connected devices with Google Home and feel like you're ready to take your smart home to the next level, Google Home's integration with IFTTT offers a great way to do just that. Using Google Home IFTTT recipes that neatly sync up the connected devices in your home, you can do some pretty cool things. Here's how to set up IFTTT on Google Home, get started using applets on the IFTTT Google Assistant Channel, and even whip up a couple of IFTTT recipes of your own. Setting up IFTTT with Google Home is fairly straightforward, and begins with creating an IFTTT account and getting the official app. Follow the steps below and you'll be ready to go in no time. If you don't have an IFTTT account, create one at IFTTT.com or download the app from either the Google Play Store or Apple's App Store. If you already have an IFTTT account, go ahead and sign into it on the web or using the app. Once you're signed into IFTTT, go to the Google Assistant page. If you're on the web, you can find it at ifttt.com/google_assistant. If you're using the app, tap the search button at the bottom and search for "Google." Select the option for Google Assistant. From there, tap the Connect button. If you haven't already logged into Google via your web browser, you'll be redirected to a secure Google login page. If you're using two-factor authentication on your Google account, you'll need to grant IFTTT additional access to your Google account. Follow the instructions for doing so if this applies to you. After you're fully logged in, you'll be asked to allow IFTTT to manage Google Voice commands. Tap the Allow button, and you're all set. Once you've linked Google Assistant to IFTTT, you can begin picking out the Google Assistant recipes you'd like to try. As before, you'll want to be on the Google Assistant page. Go to either ifttt.com/google_assistant or, if you're using the app, tap search at the bottom and search for "Google." From there, you'll see a list of applets to pick from. Select an applet you want to use in the list of Google Assistant options. Select the little Turn On slide button to enable the recipe; it will turn green. From here, you may need to give IFTTT permission to connect with another smart device or app. Grant permission if this comes up. Begin using the applet you've selected by performing the trigger, which is the “If” part of the recipe. For instance, if you're using the applet to have Google Assistant send someone a text using your Android phone and Google Home, say, "Okay Google, message [Name]," then start dictating your message. If you've ever misplaced your phone and turned your house upside down in a panic, Google Home Find My Phone could just be a lifesaver. All you have to say is "OK, Google, find my phone," and it will call your phone so you can find it. If you have an Android phone, you may find the Send a text message to someone with your Android and Google Home applet handy. Even if your hands are full, you can still communicate with friends or family. IFTTT works really well with Google Assistant and syncs up with a lot of different smart home devices, but it's best not to use IFTTT recipes for devices already supported by Google Home and Google Assistant, like Philips Hue or Nest products. 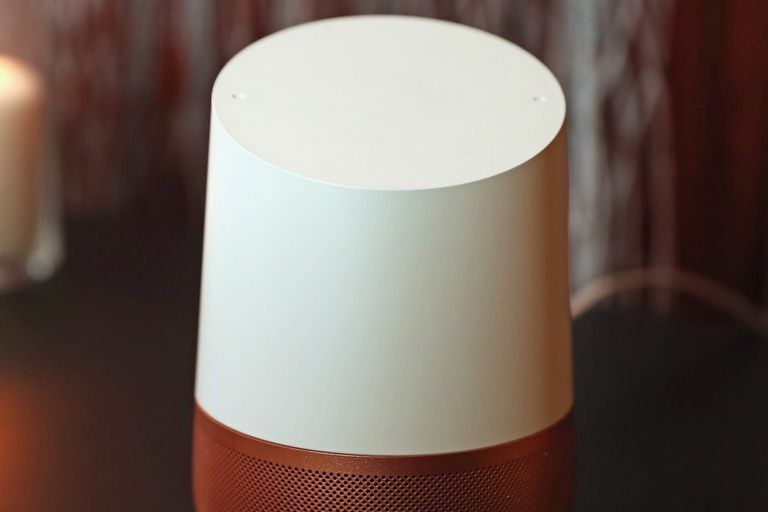 In those cases, it's best to stick with the automation you already get from your Google Home setup, which tends to work better. Once you're comfortable using IFTTT applets, you may want to try creating your own custom recipe. You can create applets directly on IFTTT.com or on the mobile app. Choose the drop-down arrow next to your username in the top-right corner, then go to New Applet > This > Google Assistant and you're on your way. You can even share the recipes you've created with other people if you like. If you can’t remember any part of a recipe you applied, log in to your IFTTT account and select My Applets. Select any applet to view details, make changes to it, or disable it. Hey Google, How Do I Use Google Home to Turn on My Lights?